Every business owner needs to spend a lot of time and effort keeping his/her customers happy. There is no point in trying so hard to gain customers when you are not doing enough to retain your existing customers. Here, in this post I have compiled a list of some of the best free wordpress customer service plugins for your wordpress blogs. If you enjoyed this post, please consider to leave a comment or subscribe to the feed and get future articles delivered to your feed reader. If you like our art collection, so check out these other posts will interest you too: Premium Mosaic WordPress Themes, Best Websites For Free EBooks, Free Ads Widgets for WordPress and Twitter Feed Plugins for WordPress. 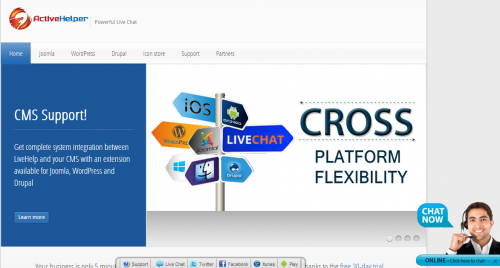 WordPress Live Chat Plugin is the most affordable and scalable Live Chat. ActiveHelper LiveHelp Live Chat System is perfect for small and medium WordPress sites. Answer Live chats from any location, Desktop and mobile are included, Windows and Mac, IOS and Android too. Show feedback forms to all or, relevant users to collect feedback, conduct surveys etc. Quick and Easy setup, Customize form & call to action button, Completely customizable – color, text etc, Launguage independent, Can be made to show on left and right. CM Answers is a plugin for WordPress that enables users to post questions and answers (Q&A) in a Stackoverflow style. Plugin also includes social media registration using Facebook, LinkedIn or Google+, Twitter & Microsoft Live authentication. Lively Chat Support puts the power of connecting with visitors in the palm of your hand. Extremely customizable live chat for your visitors to interact with. Boost your conversion rates with one of our premium addons! CM Downloads Manager is a plug-in for WordPress that enables you to specify which users are allowed to upload, manage, track and support music, documents or files in a directory listing structure that others can use and comment upon. Customizable layout In WEB administrator’s panel you may customize the appearance of your live chat window with logo, colors and font of your corporate image. Moreover, you may customize Start button to meet your website color scheme and style. The Live Chat by OggFlow plugin for WordPress lets you easily add beautiful live chat to your website or blog. OggFlow lets you handle all of your customer service – live chat, emails, tickets, Facebook feeds, Twitter feeds, and Gmail shared folders all from one simple and familiar interface. EasyChat.me is an innovative approach to customer service online. Thanks to easychat.me you can quickly and easily provide customers service using live chat, by generating html code and simply paste it in any place, it’s that simple! LiveHelpNow is a responsive, reliable, and extremely affordable Help Desk Software for your website. The live chat button plugin adds click-to-chat functionality to your website, allowing you to interact directly with website visitors the same way you would in a traditional retail store. Along with providing live support to your customers it also keeps you updated about your website visitor tracking and activity. You can view the technical and demographical information of your visitors.